wallace stevens poems, wallace stevens poetry - Welcome to American Poet Wallace Stevens Online Home... Here you will find poetry that is written by this American Born Poet… "wallace stevens thirteen ways of looking at a blackbird, the emperor of ice cream wallace stevens, wallace stevens the man with the blue guitar, wallace stevens high toned old christian woman, disillusionment of ten o clock wallace stevens, wallace stevens The Snow Man…"
Wallace Stevens was born in Reading, Pennsylvania on October 2, 1879. He was the son of a successful lawyer. His mother's family was of Dutch origin and she taught school. He attended Reading Boy's High School and then went on to Harvard in 1893. While at Harvard he wrote for the Harvand Advocate, Trend, and Harriet Monroe's magazine Poetry. He wrote his first play called Three Travellers watch a Sunrise, in 1916. For this he won the magazine's prize for verse drama. The following year the play was produced at New York's Provincetown Playhouse. In 1900, He left Harvard without recieveing his degree and enrolled in New York law school. He did graduate in 1903 and became a member of the bar the next year. He also met Elsie Kachel, a girl from his hometown, that same year and the two were married in 1909. They had one daughter, Holly Bright, born in 1924. Stevens worked as a lawyer in various firms until 1908, when he accepted a postition as a bonding lawyer for an insurance firm. He worked his way up to vice-president of the New York Office of the Equitable Surety Co. of St. Louis. In 1916 his work took him to Hartford where he worked in investment banking for the Hartford Accident and Indemnity Company. He remained there the rest of his life. 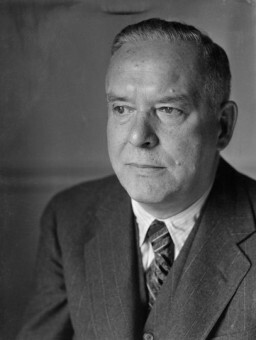 Wallace Stevens was highly influenced by imagism and French Symbolism. His first book of poetry, Harmonium was published in 1923, but the reviews were not what he hoped for. It only sold 100 copies. He was left discouraged and did not write during the rest of the decade. He did in 1931, publish a second edition of Harmonium, but only added eight new poems. During the 1930's he wrote Ideas of Order, Owl's Clover, and, The Man With the Blue Guitar. Stevens best writing however came after 1939. During the 1940's he wrote Notes Toward a Supreme Fiction, Esthetique du Mal, and The Auroras of Autumn. The 1950's brought more success for Stevens. He wrote An Ordinary Evening in New Haven, and The Necessary Angel. He also wrote other poems well into his seventies. Some of his most notable poems are Sunday Morning, The Snow Man, The Emperor of Ice Cream, and Thirteen Ways of Looking at a Blackbird. Wallace Stevens traveled a great deal during his life. His job took him many places into the south and he spent a great deal of time in Florida fishing and writing. His poetry reflects his travels and the images he saw. Wallace Stevens is known as one of the great imagists. His poetry centered on images and the concept of using our imagination to interprete those images. His poetry is very philisophical. He gives the reader no clear indication of his interpretation of the image. He leaves it up to them to discover what the image or poem means to them. He was well respected by all his contemporaries throughout his life and the critics finally came on board. He is revered today as one of the greatest imagists of all time.